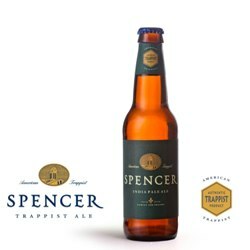 Inspired by American brewcraft creativity, Spencer Trappist IPA (ABV 7.2%) is the first ever Trappist IPA – crisp, fragrant, and golden-hued, it's generously hopped, bright, and bitter – one of a kind. Their goal was to create a balanced and drinkable IPA that even self-proclaimed non-IPA drinkers would find delightful. 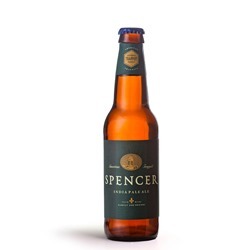 They developed a malt profile that supports, with body and a splash of sweetness, the bitter, resinous, and citrusy flavors introduced by the hops and yeast. The hazy, golden orange color and the medium-sized, dense, off-white head accompany an aroma of orange, pine resin, biscuit, tropical fruit and floral notes. German Perle, Apollo, and Cascade hops animate the flavor profile, which is complex, harmonious, and multi-layered, as befits a Trappist Ale. 12 oz. bottle. Jan 17, 2019 | By Albert W.